This page contains a growing selection of mp3 files highlighting some of Lantern Productions work for you to download and sample. They are free of charge and can be played using any suitable mp3 media player. 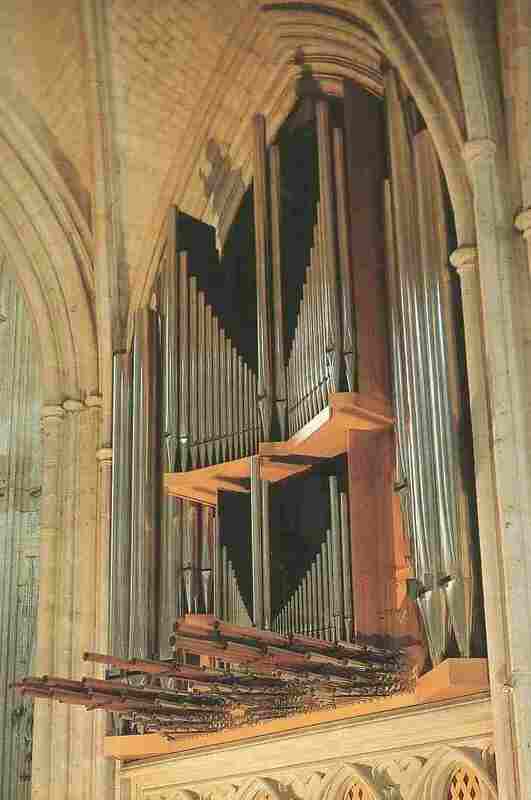 Lantern Productions in July 2003 recorded William Whitehead at the G. Oberthur organ of Saint-Etienne Cathedral, Auxerre, France. The album 'DANCES OF LIFE AND DEATH' Ref CHAN10315 is available on the Chandos label. Previously available example mp3 files have been removed, due to copyright, however you can Listen to a 60sec. BBC Radio 3 review of this CD recorded in 2005. Not to be taken too seriously and only if you have time, why not download the Dean''s Rap which was mixed by Richard Clover by request to celebrate a momentous occasion for the life of Ely Cathedral in 2003. Previously available from another site, it is now held here in our archives! Additional mp3 examples are available in our audio catalogue.